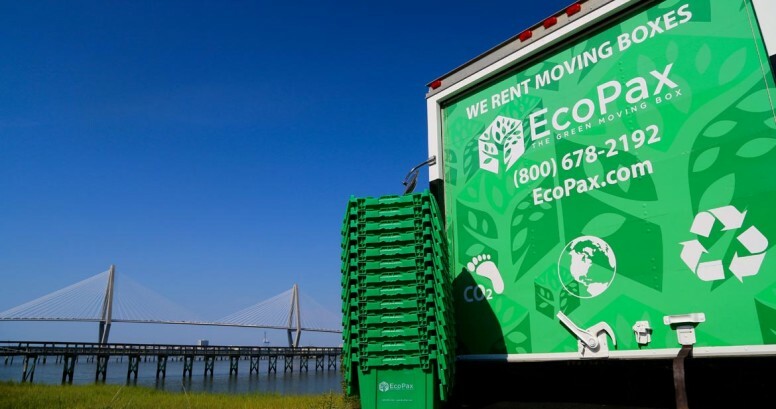 Q: Is EcoPax a moving company? A: No, EcoPax rents and delivers you sustainable boxes to your current address, you then pack and move. After the move, EcoPax will pick up your empty boxes from your new location. Q: Does EcoPax charge a delivery or pick-up fee? A: No, we deliver straight to your home or office and pick-up from your new location for FREE! Q: What method of payment does EcoPax accept? A: It’s totally up to you, we offer 1 week, 2 week , 3 week and 4 week packages. If you need longer just let us know and we will make it happen. Q: What if in the middle of packing I decide I need more boxes? A: No Problem! It’s as simple as calling EcoPax at (800) 678-2192, or placing another order at EcoPax.com. If you order less than 15 boxes there is a delivery fee of $35 in addition to the individual box charge. Any extra boxes delivered will be picked up at the same time and location of original order. Q: Can I keep the boxes longer than my initial order request? A: Absolutely! Just call us or shoot a quick email with your request 24 hours prior to your pick-up time. A: That is an option, however we feel like it’s not ideal. We make packing super simple and organized. Simply place your order online and we will guarantee clean, bug-free, crush-proof, water-proof, sustainable boxes that stack, lock and roll. No tape, no mess, and when you are done, nothing to break down and dispose. Q: How will I know EcoPax received my order? A You will receive an email confirmation after your order has been placed. Also the day prior to delivery/pick-up an EcoPax agent will call you to confirm times and location. The driver will also call en route. Q: How can I do my part to save mother earth? A: Tell all your friends and family about EcoPax, and together we can drastically reduce our carbon footprint, one move at a time!